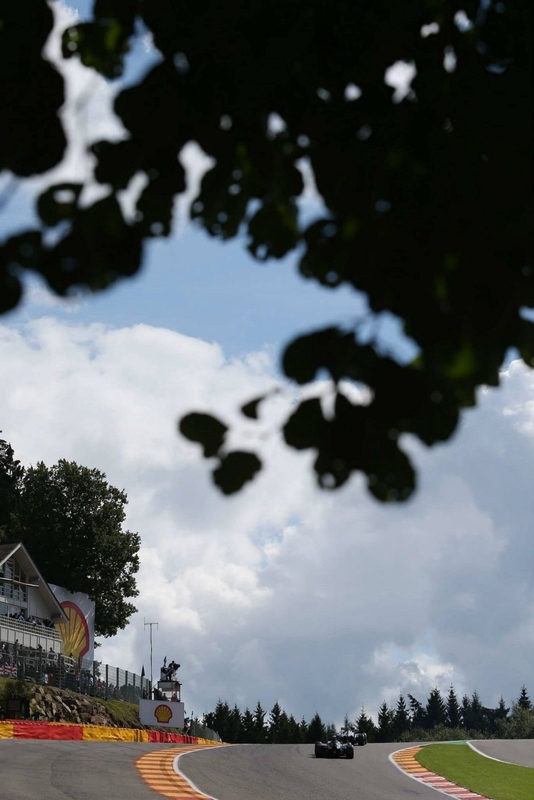 Spa is one of them. Sure the backgrounds aren’t as good; trees are more distant, stone walls, chateaux and so on lacking but then driver safety is paramount. The ‘snappers’ can’t get as close either, again this is a good thing as occasionally, i remember a poor bloke at Albert Park, photographers have been killed as well. 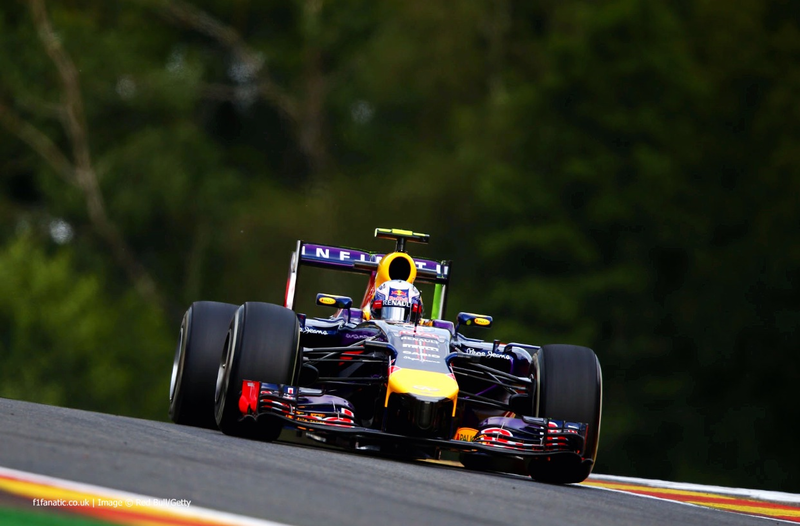 Daniel Riccardo, Red Bull RB10, Spa 2014.